Robobloq is a high tech pioneer in artificial intelligence study and STEM educational products development dedicated to providing end-to-end solution including STEM learning tools, teaching materials, robot competitions and international exchange for educators worldwide. 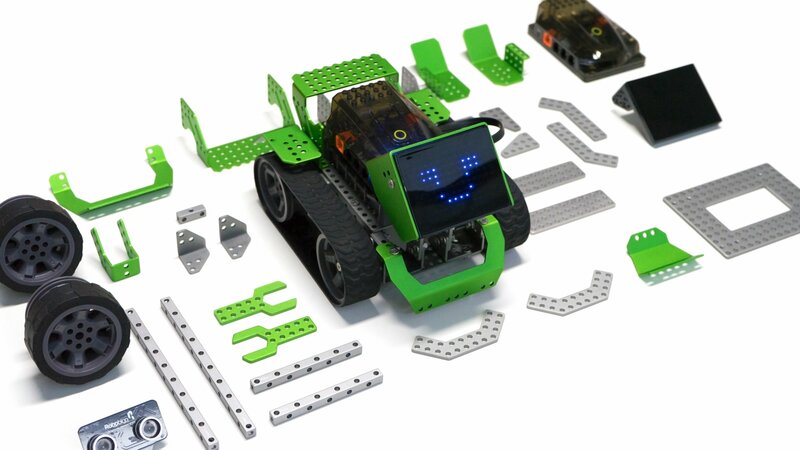 As a one-stop solution developer and integrator for STEM (science, technology, engineering, maths) education, the Robobloq platform combines sturdy aluminum mechanism, intelligent wireless electronic modules and easy-to-use drag-and-drop graphical programming software and application, which can be easily setup to create robots and IOT devices like line-following toy car, Robotic Arm and even prototypes of professional equipment. Robobloq empowers kids' and students' hands-on ability and coding skills to bring their innovative ideas into reality.